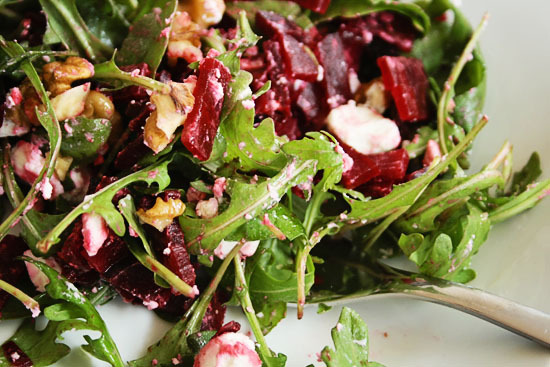 Learn how to make this beetroot and goat cheese salad after the jump. 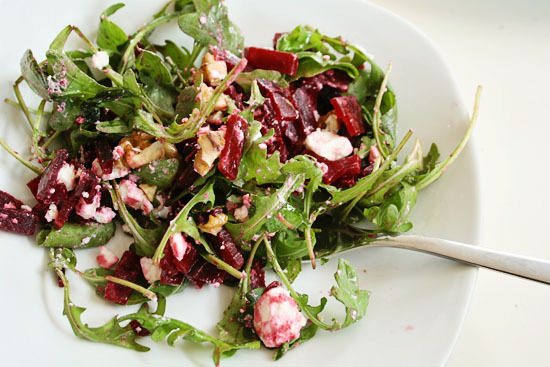 . .
break the goat cheese and the walnuts to pieces. Mix all the ingredients in a bowl and put some extra vierge olive oil on top as a dressing.